We invite you to submit abstracts for posters and papers to “1st International Symposium on Sustainable Rural Built Environments (SRBE): From Engagement To Impact”. The symposium launches Intercultural Dialogue through Design (iDiDe), established 2010 as a global student engagement platform for architecture and built environment disciplines, into the realm of integrally sustainable and socially responsive research. 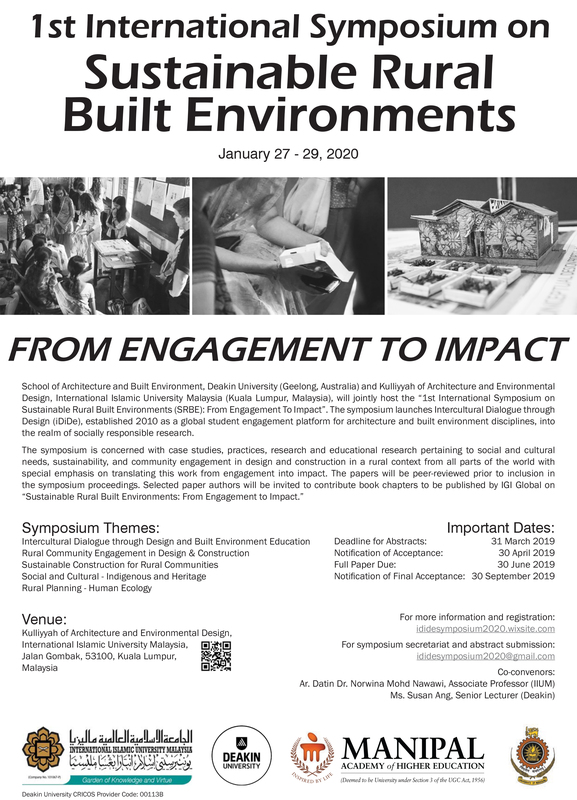 The symposium is concerned with case studies, practices, research and educational research pertaining to environmental, social and cultural needs, sustainability, and community engagement in design and construction in the rural context from all parts of the world with special emphasis on translating this work from engagement into impact.